Further north, at the top of Passeig de Gràcia, the “real” Gràcia starts. To me Gràcia combines the residential bliss with close proximity of the attractions as well as some of the best bars and restaurants in town. 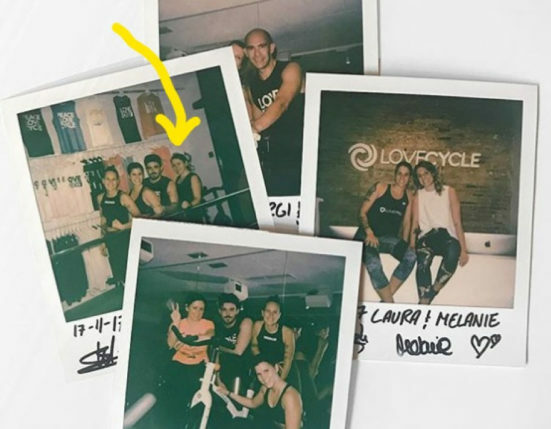 My perfect day usually starts an intense workout session at LoveCycle BCN – Barcelona’s equivalent to the US/British trend started by SoulCycle and Psycle. I was so lucky to find the studio near my house. The energy of every session is contagious and keeps me smiling for the rest of the day. Being an expat may feel lonely, LoveCycle became by family from day one. My workout is followed by a cheeky croissant and a tea infusion in one of the many restaurants in Plaça de la Vila de Gràcia, where the clock tower rises in the centre of the square and local children frequently play. 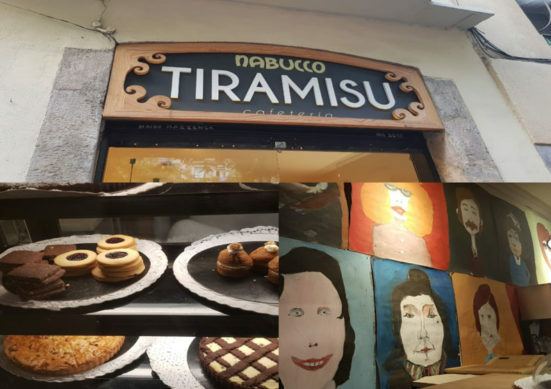 My favourite is Tiramisu, with some outdoor sitting, friendly staff and great selection of pastries. Barcelona has its fair share of co-working spaces, and I usually head to one of those to work on my projects. Or if it’s a day when I need to write, perhaps a stroll up the hill to Park Güell – it never fails to get my creative juices going! After dinner one of the most interesting places to hang out in Gràcia can be Plaça del Sol, it attracts local hippies and tourists alike. The vibe is super chill and young, participation is easy: sitting on the ground in the middle of the square, with a few cans of Estrella and ideally a large dog attached to an old rope. Late in the evening, around midnight, the Guardia Urbana usually try to corral all the revellers out of the square – which I can appreciate gets very noisy for residents. Having said that, I love spending odd warm evening at the Plaça del Sol with can of beer in hand and a company of friends. Into the night, Gràcia remains alive and kicking, the Gràcia festival in August is one of the biggest neighbourhood festivals, with locals eating together in the streets out of massive paella pans, human towers, communal dances, fire-runs (correfoc) and many other local traditions. It was unfortunately cancelled last year due to the tragedy on Las Ramblas, so I was really looking forward to this year’s event. 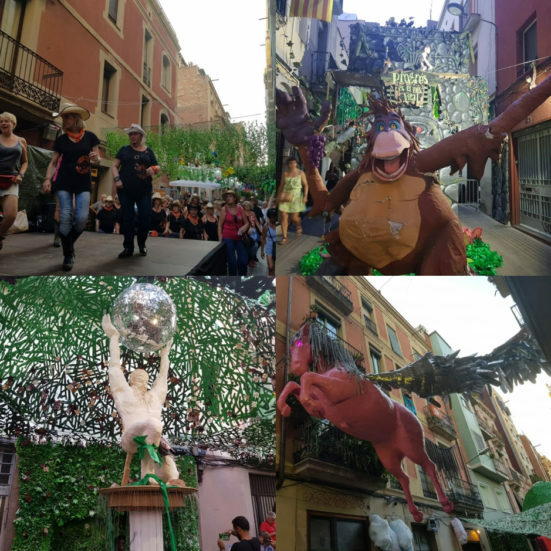 My anticipation was rewarded with the bravado of 2018 Fiesta de Vila de Gràcia. It’s a five-day extravaganza of food, drink, music and party. Many streets have been decorated by the community and offer all sorts of activities during the day and night. No matter your age, you can find something to do or to see. My favourite is the fire-run (correfoc) on the final night. This year it has been absolutely brilliant. I can still hear the drums in my ears and hissing sounds of pyrotechnic devices whizzing just above my head. 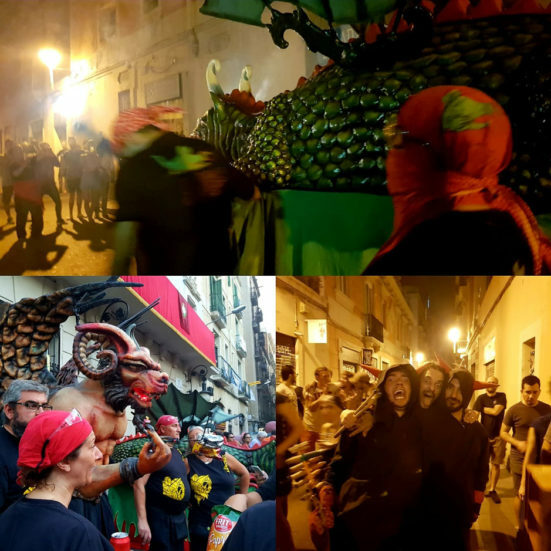 And finally the fire-runs (correfoc) – participants and enthusiasts… must dress appropriately! Finally, for some live music I love La Sonora de Gràcia, an informal bar which always has live music with acts from around the world, and open mic nights too. There’s so much to do in Gràcia, it’s hard to fit it all into a single perfect day! I’m proud to be part of this fascinating neighbourhood and call it my home. Julia grew up in Riga, Latvia and as a teenager moved to New York with her family. In 2010, her work took her to London, where she spent following 6 years. Now she is based in Barcelona, working as a business consultant for startups and small to medium businesses. She still spends a considerable amount of time in London for work, but enjoys every moment she gets to be in Barcelona.